One of the perks of designing knitwear is receiving shipments of beautiful yarns in the mail! Lately I've received these two amazing packages of yarn for use in my current design collection. First up... these lovely skeins from Tactile Fiber Arts. These soothing naturally dyed colorways were created especially for the collection. I'll be sharing more about that later...but they are lovely and very special and fit into the theme of my project beautifully. 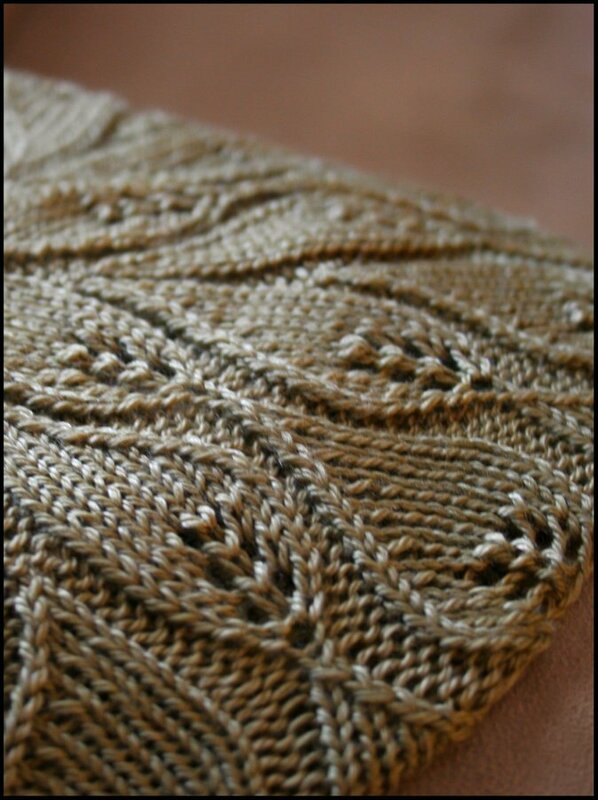 From this yarn, I've created this little knit. Here is a sneak peek for now. 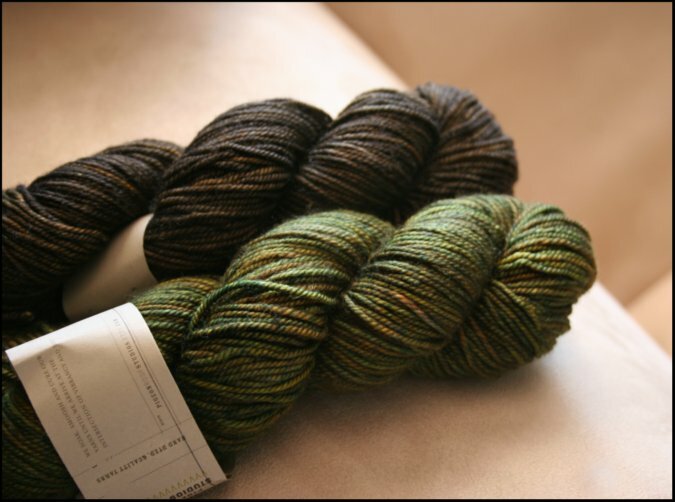 Secondly I was recently sent two sweater's worth of yarns in these amazing colorways.. Bronze Age and Juniper from Pigeonroof Studios! I can't tell you enough how much I am in love with these colors, and how perfectly they work with the design I have planned. But do you know what's even more exciting than that? Yep! This is my final design for the collection and I'm almost done with it too! 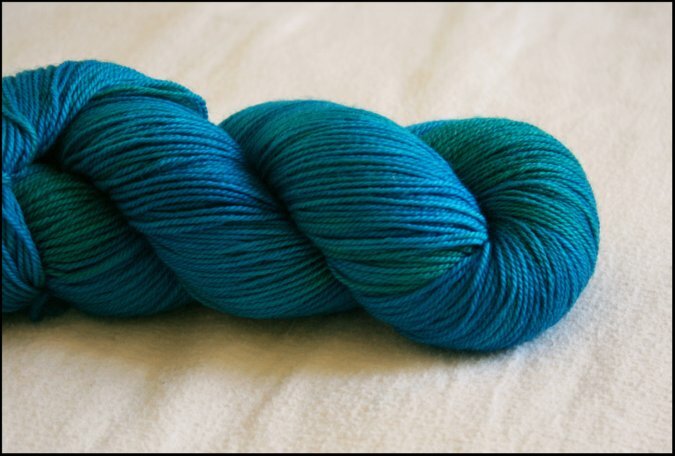 The colors are blending beautifully and this yarn is unbelievably luxurious. I am enjoying every single stitch. As you can tell.. there is a lot going on behind the scenes here at Never Not Knitting. There will be a big reveal coming up soon! Stay Tuned! 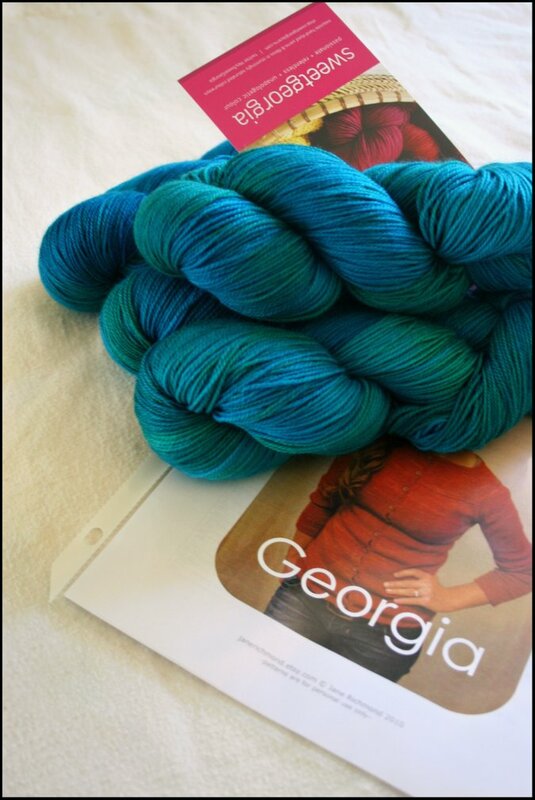 When I opened the SweetGeorgia Yarns package and saw these skeins, the first thing that popped into my head was.. Wow! The color is so saturated and so pretty. I want it. But don't worry.. I wont keep it. This yarn is for you! The tag-line for this company,"passionate+relentless+unapologetic color" really fits. This is one of the most striking yarns I've ever come across. Its just beautiful! please leave a comment under this post. Remember to please include your contact information. The winner will be announced here on August 1, so be sure to check back then and see if you've won! Drawing now closed! Congratulations to Megan, the winner! 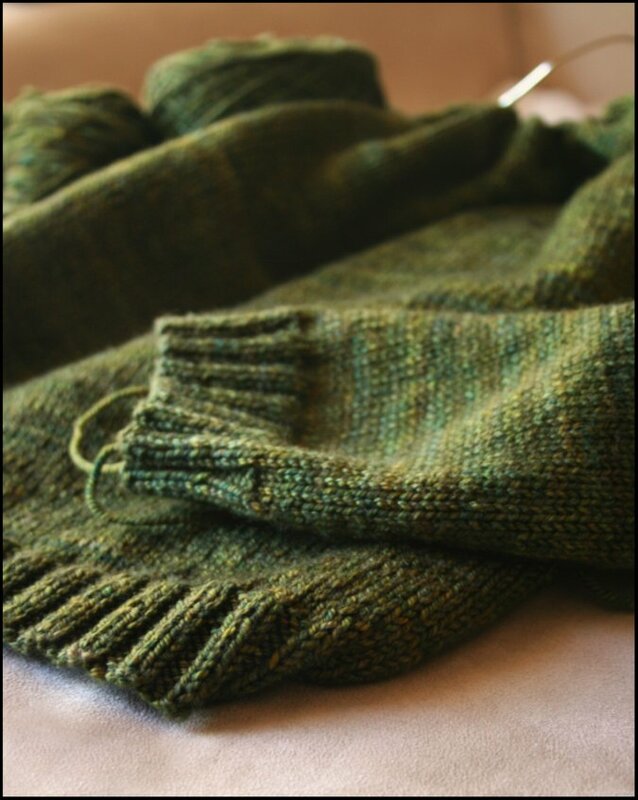 Join the Never Not Knitting podcast listeners group on Ravelry! The winner of Episode 53's Little Red in the City Drawing Giveaway is *starstofillmydreams*! Congratulations! *Please check back soon to enter the drawing for Episode 54! by entering code " NNK " in the checkout process. Click HERE to download the Episode 54 MP3 file. 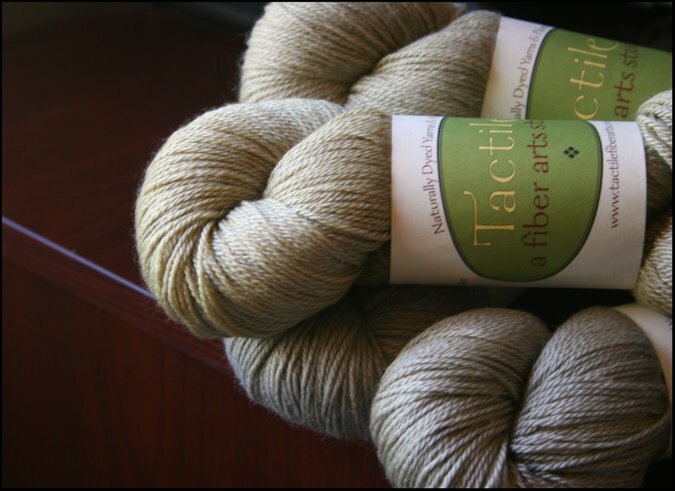 I recently met Carrie from Alpenglow Yarn for lunch, and left with some of this fabulous alpaca yarn to use in the upcoming design collection. This chunky, squishy alpaca is gorgeous in its simplicity. It is an undyed 100% alpaca fiber collected from and milled by farms local to where I live in California. although it could be considered annoying by some, I love that while I'm knitting this fiber I am finding little bits of vegetation in it. This is the real deal. 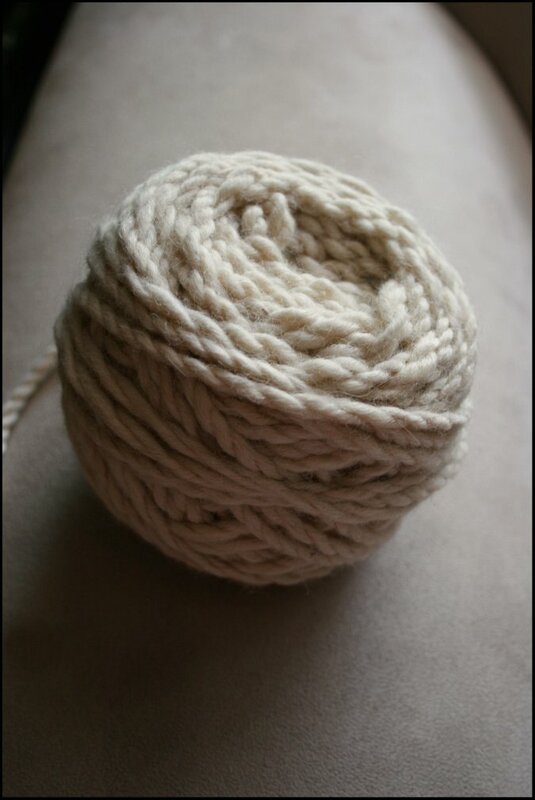 I am loving the rustic nature of this yarn. This latest design worked up in a snap! 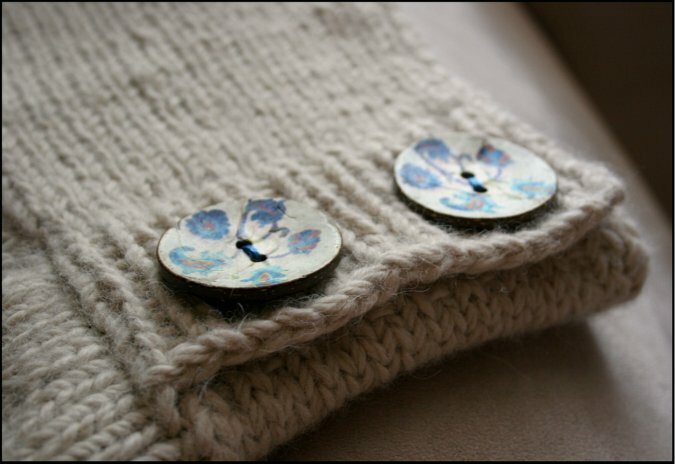 And I even finally found a use for these amazing buttons that I had in my stash from long ago. I've been waiting for the perfect project for these! 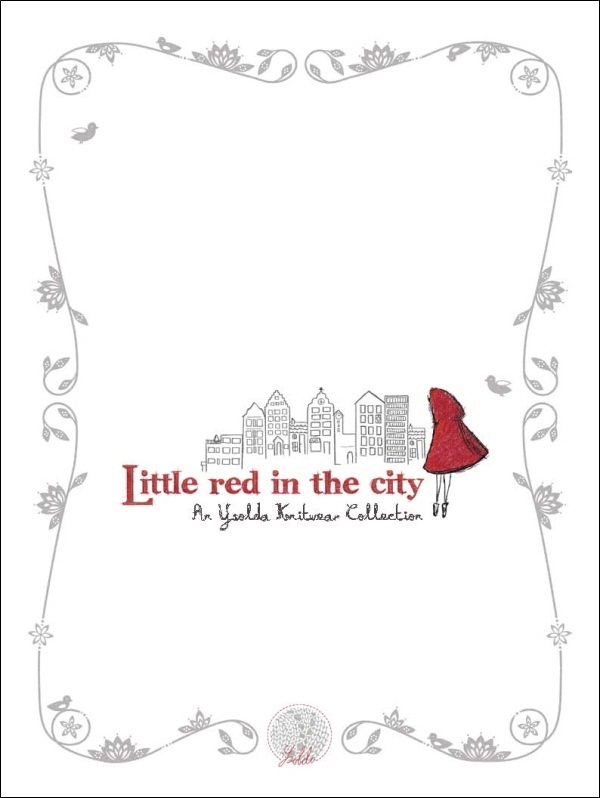 It was a pleasure getting to interview Ysolda in Episode 53 about her latest book, Little Red in the City! To enter to win a signed copy of the book, please leave a comment (including your contact information) under this drawing post. Remember, only one comment per person please. A winner will be chosen and announced here on July 15th, so please check back then to see if you've won! Learn more about Ysolda and Little Red in the City by listening to my latest podcast episode HERE.